New Path Center (NPC) is a nonprofit organization based in Kingsburg, California. NPC was founded in 2005 by Tony and Bonnie Redfern, who both hold degrees in peacemaking and conflict studies/theology, certification in death and grief studies, and training to walk with others through life's transitions. NPC provides a number of services for their clients and surrounding communities. While their staff may be small, NPC's reach is large... and growing. In 2011 they managed 81 cases, and the services included: pastoral counseling, grief counseling, training, anger management, conflict coaching, family mediation, marital mediation, and community mediation. In evaluating their needs for accounting software, New Path Center wanted to graduate from using Excel spreadsheets and considered using Quickbooks. However, they found Quickbooks too confusing, more than they needed, very expensive and would require significant computer upgrades. Bonnie said, "We were going to have to easily spend $1,500 to use Quickbooks but only needed 10% of what it was offering, so we kept looking and found Aplos." She went on to describe her experience by saying, "Aplos is simple to use and has great customer service response. It is also affordable and addresses the needs of small nonprofits. I also like that it is web-based and automatically backs up our data." When my husband and I began our nonprofit, Off The Front, the desire to implement our vision was fueled by excitement and passion. The reality of what needed to be accomplished, though, quickly settled in when we began to come face to face with our long checklist of responsibilities. I had no idea we were about feel the weight of what individuals experience when starting a business. To be honest, I was overwhelmed, intimidated, and knew my husband would need my ability to handle our personal finances to carry over into my capacity to now manage Off The Front's finances (as if these even remotely carry the same level of responsibility). With great reluctance, I committed and was off to dive into the world of fund accounting (a term I could not even define at the time). Equal to my lack of experience in the area of accounting, was the lack of time I knew this position deserved. We purchased Aplos and I imagined the worst and assumed I would spend hours trying to learn the software and eventually get around to entering in a few transactions. Much to my surprise, because of the simplicity and intuitiveness Aplos offered, our entire accounting system was up and running within an hour. My husband's initial assumption proved itself to be true - If I could manage our checking account, I could manage our nonprofit's finances. Aplos is for people like me who have little time, minimal experience, and are in desperate need of confidence in an area requiring a great amount of responsibility. Thanks Aplos! I just deleted Quickbooks from my computer, never to go back anymore. I have found Aplos Accounting Software to be simple to use and a great help to us in our organization. I am responsible to pay the bills while the secretary in the office is the one who inputs our deposits and book sales revenue. I can look at the accounting books from anywhere in the world and can make decisions concerning making payments or purchases, while the office can print out the checks and input the sales. It is as easy to use as my checkbook check register at home and produces reports and database inquiries very easily. I recommend this product to any small church group or any nonprofit organization that depends very much on untrained volunteers to help with the office. Try it out, you'll see the ease of use and the benefits of having multi-users having access from several computers makes it very nice to use. Christian Life International Church (CLIC) is a multi-cultural congregation based in Las Palmas, Spain. Offering services in both English and Spanish, they aim to be a Christ-centered church, ministering hope and healing, seeing people touched by God's power, disciple in God's Word and equipped to see God's purpose for their lives fulfilled. CLIC's Lead Pastor, Steve Robertson, decided to use Aplos Software because he felt it was the best fund accounting solution available. Steve said, "This application is the best there is for simple, accurate, easy-to-use fund accounting. It has a very powerful feature set, yet it is simple to use. I cannot imagine what we would be doing as an organization without this." He went on to say, "This application does everything you need it to do and then some. The customer service is the best I have ever seen or experienced. The product and the service have exceeded our expectations and I highly recommend Aplos Software without reservations." Providence Ranch Ministries is a nonprofit organization that began in 2008 to provide mentoring, sheltering, teaching, and healing for area youth and families through relationship building, animal assisted activities, and outdoor activities in a Christian environment. The President, Pamela Upgren, and her husband Randy run the day-to-day operations of the ranch. Providence Ranch Ministries began as a way for Pam and Randy to share the blessings they felt they had been given at their ranch. They felt many kids in the local community would benefit from the opportunity to participate at the ranch; kids who may not otherwise have the resources to be involved with horses. They also felt that it is very important to provide mentorship and guidance for youth in a Christian setting. To manage their finances, they decided that Aplos Accounting was the best fit for their nonprofit. Pamela described their decision by saying, "Aplos has allowed a small non-profit organization like us to find a tool that was very easy to set up, customize and use for our purposes. It really fit our needs well. It provides great printouts of the information that we need to share with board members or state regulatory agencies." The program at the moment is very small, but continues to grow annually. They hope to add more summer camps, increase their "One on One" individual sessions, include more seasonal one-time events, and begin outreach by partnering with other community organizations dealing with youth. Every Neighborhood Partnership is a nonprofit organization that was formed in 2008 in Fresno, California that focuses on areas of the city with high percentages of residents living at or below the poverty line and consistently low elementary student test scores. What originally began as a church's small sports program in 2002 evolved into one that addressed these issues and included one-on-one mentoring, classroom volunteering and community outreach events. Volunteers from the church got more connected to the neighborhood, discovering many opportunities to be involved in the lives of the people. Once the nonprofit was formed, Executive Director Artie Padilla decided to use Aplos Software. 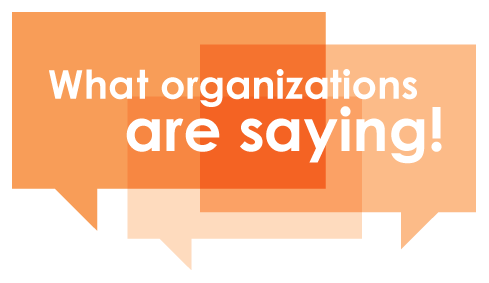 Artie said, "Aplos is easy to understand and blends well with our nonprofit needs. It is easy to teach others on and they have great support." He also said, "I strongly recommend you look into this product. It's tailor made for CBOs who need a simple, yet functional, software to take care of its internal office needs."